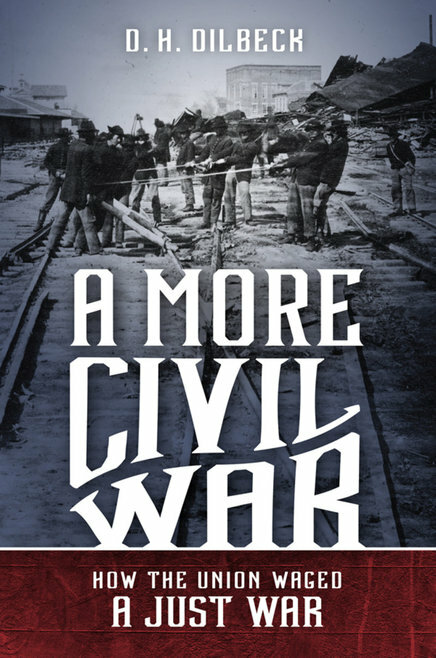 From The Publisher: During the Civil War, Americans confronted profound moral problems about how to fight in the conflict. In this innovative book, D. H. Dilbeck reveals how the Union sought to wage a just war against the Confederacy. He shows that northerners fought according to a distinct "moral vision of war," an array of ideas about the nature of a truly just and humane military effort. Dilbeck tells how Union commanders crafted rules of conduct to ensure their soldiers defeated the Confederacy as swiftly as possible while also limiting the total destruction unleashed by the fighting. Dilbeck explores how Union soldiers abetted by official just-war policies as they battled guerrillas, occupied cities, retaliated against enemy soldiers, and came into contact with Confederate civilians. Dilbeck details how the Union sought both to deal sternly with Confederates and to adhere to certain constraints. 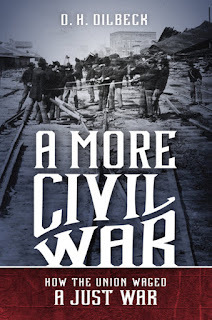 The Union's earnest effort to wage a just war ultimately helped give the Civil War its distinct character, a blend of immense destruction and remarkable restraint. D. H. Dilbeck is assistant professor of history at Oklahoma Baptist University. Gettysburg; Hall of Presidents Closes, Wax Figures To Be Auctioned, story by Chris Kaltenbach, The Baltimore Son, December 5, 2016. Forty-three U.S. presidents will be looking for homes next month, as Gettysburg’s Hall of Presidents and First Ladies, which closed in late November, will be auctioning off the wax figures that have been entertaining tourists for more than half-a-century.The figures, along with other museum contents, will be put up for auction Jan. 14. A fixture on Gettyburg’s Baltimore Street since 1957, the museum displayed figures of all 43 men who have served as president. It also included figures of each first lady, dressed in facsimile inaugural gowns. The museum fell victim to a decline in attendance that not even interest in the recent presidential election could stem, its owner said. "It was kind of its time," said Max T. Felty, president of Gettysburg Tours Inc. "We were hoping that, with the Gettysburg  sesquicentennial, we'd see the attendance go up. But it really didn't increase much." According to the museum’s website, the figures’ heads are made of a liquid vinyl plastic (with eyes purchased from an optical supply company), while the torsos are made of Fiberglass and Styrofoam. The “fully articulating arms” are made of wood. Gettysburg Tours Inc. also operates the Jennie Wade House and Museum, in a building that was home to the only civilian killed during the Civil War’s Battle of Gettysburg. Attendance at the Jennie Wade House remains steady, Felty says, and its future is secure for now. "She's not going anywhere," he says. "That's a very good attraction." The company also owned the town’s Soldier's National Museum, which closed in November 2014. The Hall of Presidents auction is set for 10 a.m. Jan. 14 at the 1863 Inn of Gettysburg, 516 Baltimore St. Previews are set for noon-5 p.m. Jan. 8 and 4 p.m.-8 p.m. Jan. 12 at the museum, 789 Baltimore St.